I was recently contacted by Ruth from Hit Search LTD and asked to promote Archie's Story and to raise awareness about the amazing work that Alder Hey Children’s Hospital is responsible for. In March 2014, Archie was flown to Alder Hey Children’s Hospital from his local hospital in the Isle of Man with a suspected infection. It began when Archie started to complain about a backache. The pain became severe and after a couple of trips to his local surgery, he was taken by ambulance to the Intensive Care Unit (ICU). His condition rapidly deteriorated and he needed to be sedated and brought the ICU at Alder Hey Children’s Hospital. As he was fighting for his life, doctors decided that in addition to ventilation, he needed to be connected to an Extracorporeal Membrane Oxygenation (EMO) machine which took over the function of the heart and lungs, helping deliver oxygen into his blood. Blood tests finally confirmed he had a Staphylococcus infection, which is a group of bacteria that produce a rare toxin called Panton-Valentine Leukocidin (PVL) targeting his heart, lungs, and muscles. The infection had caused severe sepsis and he had to be sedated for three weeks so they would provide the necessary intensive treatment. After 47 days of ICU, Archie was able to be moved to Alder Hey Children’s Hospital’s specialist neurology ward for rehabilitation and spent four months in the hospital. 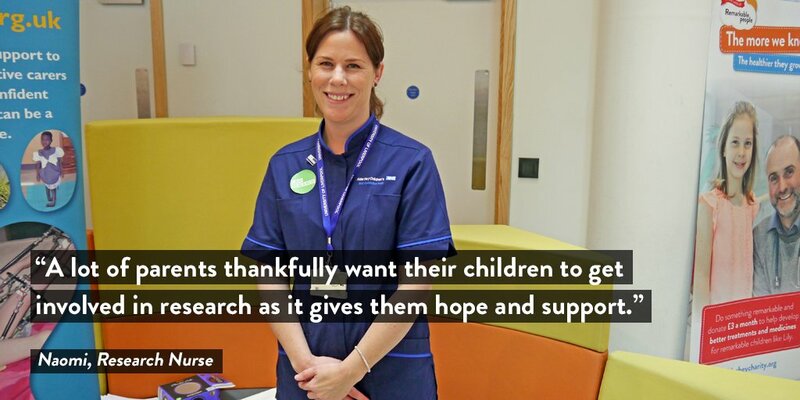 From day one, Archie’s parents agreed for medical staff to involve Archie in research. During his time in ICU, he had blood being taken regularly as part of his care, a small amount of which was used for research. The study looked at generic reasons why people may suffer from life-threatening infections and why different people with the same condition may have more or less severe disease. After a lot of treatment, Archie was able to return to the Isle of Man and has continued with physiotherapy. He no longer uses a wheelchair and is progressing well. It’s been over a year but Archie is working hard to recover. In April 2015 he was invited to address a one-day infection conference in Liverpool and he spoke poignantly about the importance of early diagnosis of sepsis, knowing it could have been a different story if he had not received life-saving treatment at Alder Hey Children’s Hospital. 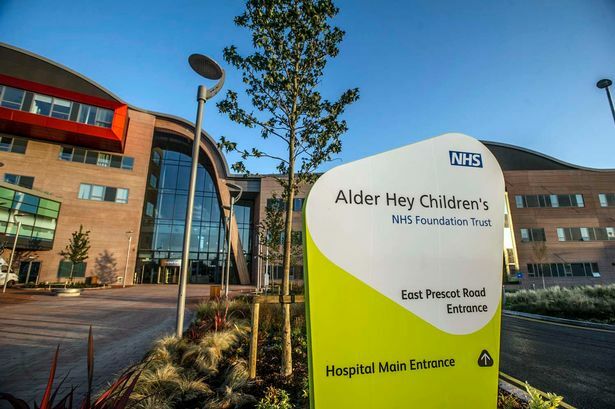 If you don't know already Alder Hey Children’s Hospital is a children's hospital located in Liverpool and it's a hospital which is very close to my heart as I spent a lot of time there growing up. Every year Alder Hey Children’s Hospital care for over 270,000 children, young people and their families and they lead research into children's medicines, infection, inflammation, and oncology. You can find out more about Alder Hey Children’s Hospital by clicking here. Oh my gosh, this nearly made me cry. Like you, I spent time as a child at Alder Hey. It will always be a special place to me. Alder Hey sounds like a fantastic hospital for children. I'm touched to hear Archie is progressing so well, and think it's wonderful he was able to address the one-day conference. Archie sounds like an incredible young man and a real fighter! I'm so glad to hear that he is on the road to recovery after what must have been such a traumatic time! Alder Hey is a fantastic facility by the sounds of things, a real lifeline to children in need! Good on you for writing this post to raise awareness about their amazing work! This is such a wonderful post! Thank you so much for sharing such an inspiring story! So glad to hear that this hospital has everything to help those in need! Thank you for raising awareness! Such a beautiful post which was so well written. Well done for raising awareness! Sounds like a good hospital and Archie sounds so strong. Well done for raising awareness about Archies story and the hospital, this was a great and really inspiring post! I've never heard of this hospital or Archie before your post. Thank you for sharing!! I absolutely love opportunities like this; I'm a huge fan of research and expanding our knowledge. While it is unfortunate that people (especially kids) go through these traumatic experiences, I am thankful there are opportunities like this!!! Now that you have your list of prospects, divide that list into three categories based on how well they fit the profile of the ideal customer. Taylor three different campaigns for each group.